With Republican gains in the House and Senate, did President Obama finally grow some balls? In regards to the Bush tax cuts, the president made a bold statement to reporters yesterday. "If they feel very strongly about it, then I want to get a sense of how they intend to pay for it," Obama told reporters yesterday as Air Force One made its way back from Asia. Obama supports extending the tax cuts for the middle class, but raises a deficit objection for Americans who make more than $200,000 a year, and couples who make more than $250,000. "I believe it is a mistake for us to borrow $700 billion to make tax cuts permanent for millionaires and billionaires," Obama said. "It won't significantly boost the economy, and it's hugely expensive. So we can't afford it." Republicans are trying to keep control of the narrative by claiming Democrats want to raise taxes while Democrats are trying to use the fiscal conservative rhetoric the GOP had used from the past couple years against them. 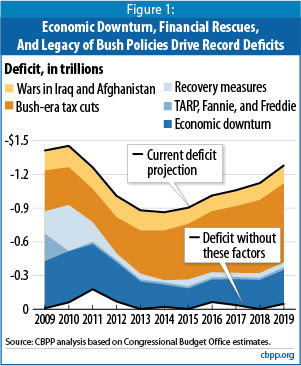 The Republicans want to prevent any expenditure without a clear way to finance it, but they refuse to apply that rule to the extension of the previous administration's tax cuts - Obama simply wants to return the tax rates to their previous levels from a more prosperous time. A compromise with the GOP would be the Obama plan - extend the tax cuts for some (the middle class) while let them expire for others (the super-rich). The graph below shows the disproportionate cuts under the Republican plan compared to the equal cuts proposed by Democrats. I look forward to this debate and hope the Democrats put the GOP's feet to the fire. Now do you wanna know why we have trillion dollar deficits?